From my personal perspective, it has become progressively more obvious to me. Experience spells it out plainly now. To me there is every appearance that philosophical dependence on subjectivity dominates in the moral relativism of an "alternative lifestyle" culture. Starting from the basis of "If it feels good, do it", and progressing toward the victimization posturing accusation, "You make me feel bad", subjectivity has become the leading value in this vociferous segment of our culture. There is a sea-change in the general attitude reflected in the philosophy of a vocal minority of our culture. Elder Dallin H. Oaks expresses concern about this trend. 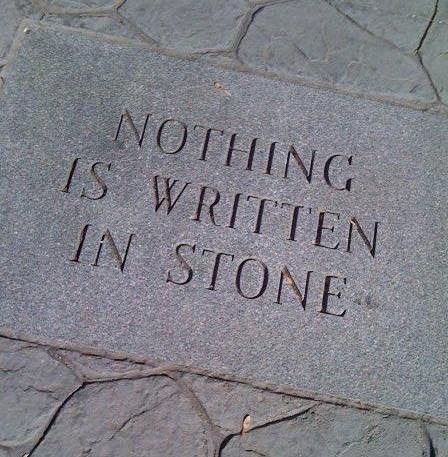 It is well to worry about our moral foundation. 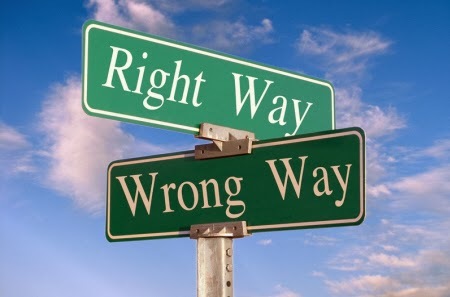 We live in a world where more and more persons of influence are teaching and acting out a belief that there is no absolute right and wrong—that all authority and all rules of behavior are man-made choices that can prevail over the commandments of God. Many even question whether there is a God. (Dallin H. Oaks, "Balancing Truth and Tolerance"). One of the instances I see as an example is coining politically-correct terms like "gay" and "homophobe". Ironically, in popular usage, both terms are employed to characterize the opposite of the traditional. There is good reason for this, and to devious thinking it makes perfect sense. Of course "gay" no longer means "being cheerful". In fact the prospect for "gay" seems quite dismal. 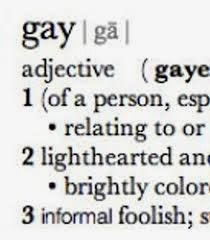 Those who characterize themselves as "gay" generally seem anything but. Today no one not wishing to self-identify with homosexual tendencies would ever even consider referring to themselves as "gay". The "gay" public persona most often seems be an expression of unhappiness, a protest or demonstration of some sort. 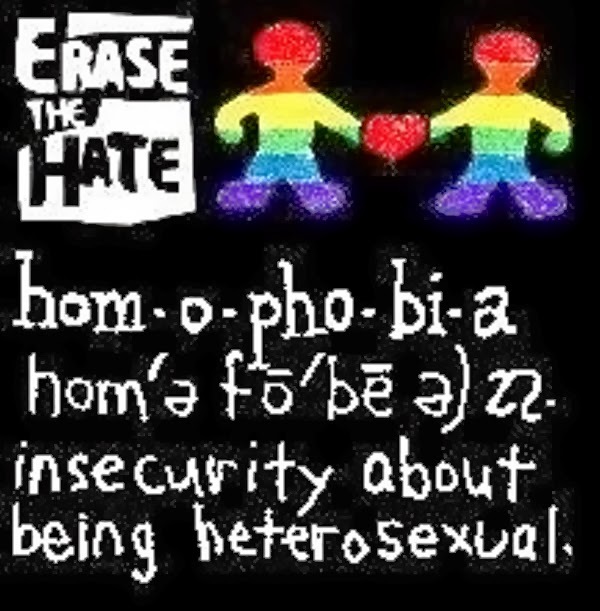 Technically, the term "homophobe" is a portmanteau, the Latin roots of which would seem to denote "man" and "fear". In actual usage it seems to have little connection with any perception of fear itself, and more to do with the accusation of discrimination based on prejudice. The object of such protests generally seems to be an effort to transfer the blame for unhappiness onto somebody else. This does not seem to be a culture that assumes personal responsibility for their own satisfaction with life. The obvious intent is to claim the moral high ground. Ironically, if we "hate the haters", we feel justified, we feel good. And nothing is wrong if it feels good. That such rationale seems quite inconsistent with moral relativism is apparently not a consideration. 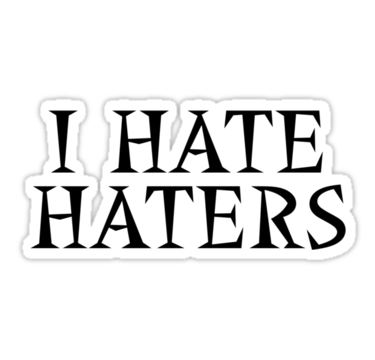 Though it escapes me why the "haters" somehow are accorded less claim to the validity of their own "hateful" feelings. If I were assigning semantic significance, I would more often attribute such feelings to women. Many contemporary women, as they publicly project, are fearful of men. Their daily interaction reflects fearful and neurotic thinking. How many men purchase products so associated with an aggressive posture of fear, like personal mace and tasers? For public police officers these tools are available to subdue aggressive criminals. To women, these are defense against rapists and muggers who would prey on the weak and vulnerable - and fearful. In short I think it is women, rather than men, who tend to be "homophobes". They use their own posture of fear as justification for legalistic schemes to protect themselves, based wholly on feeling "threatened". I do not doubt that some women feel threatened or insecure. But total subjectivity is not an effective basis for establishing civil laws.